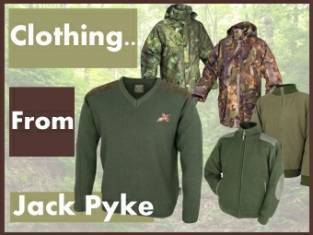 Made with the same soft, silent and waterproof stealth fabric as the hunters jacket. 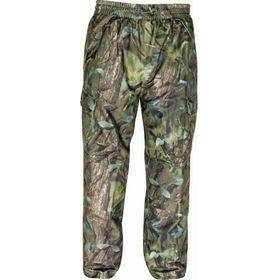 The hunters trousers are perfect for gaining in on your prey without disturbing or making hardly any noise. 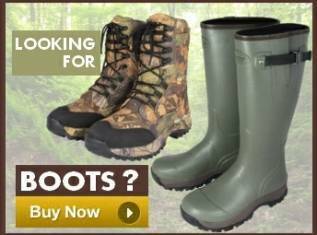 The stealth fabric is completely breathable, giving the hunter a much more comfortable experience whilst in the big outdoors. The outer shell is made from 100% polyester brushed tricot with a laminated membrane, accompanied by a 100% polyester mesh lining. 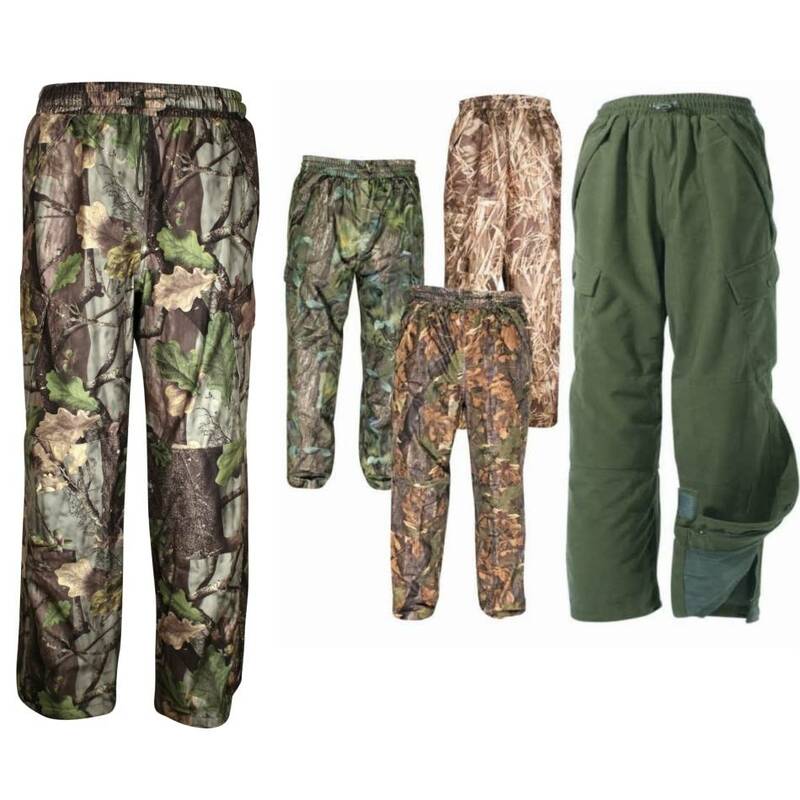 The hunting trousers consists of two upper pockets with weather flaps, two additional side pockets with flaps and press-stud fastening. 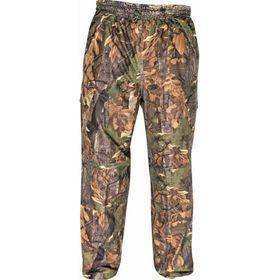 The trousers also have a 14” leg zip running on the outside leg , this opens your trousers out and makes it a lot easier to attend to your hunting boots or wellingtons. 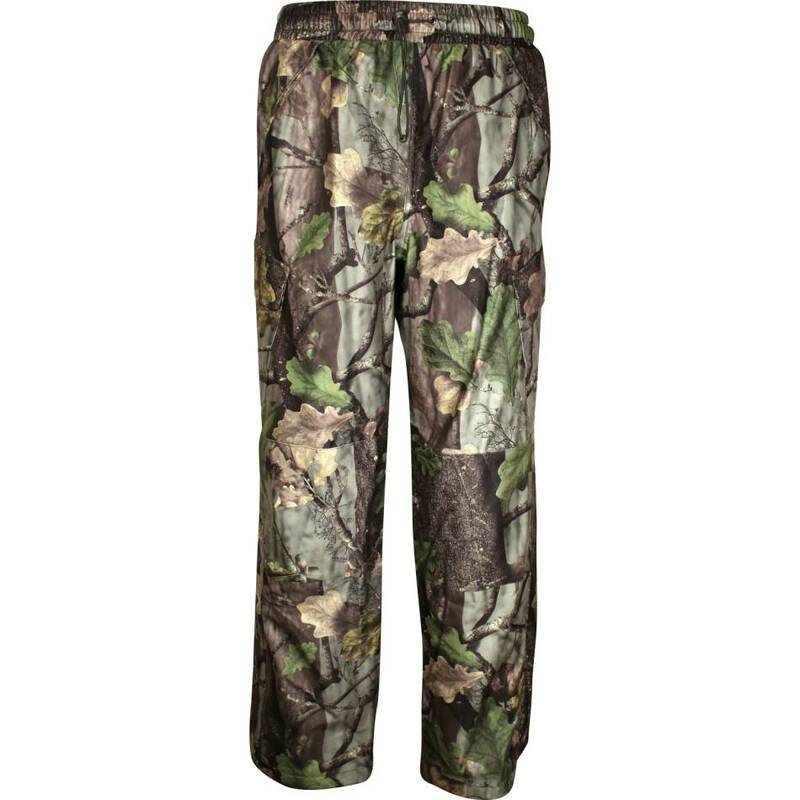 The trousers have a fully elasticated waist band, the fabric on the seat and knee area has been reinforced for extra hard wearing. 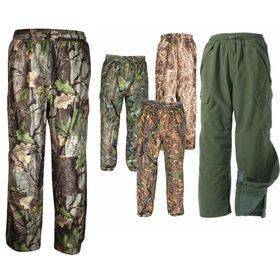 Available in English Oak, English Woodland, Hunter Green, Wildlands & the New English Oak Evolution camo designs. Inside Leg: Measure from the crotch to where your trouser is normally worn on the shoe or boot. 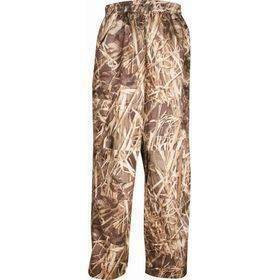 Great value trousers, warm & comfy. 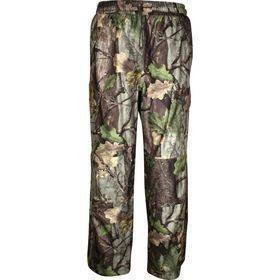 Well-made, waterproof and very comfortable. However they're like an ordinary pair of waterproofs with an outer layer of felt, so once wet they tend to hold moisture - I can wring mine out, hang up to dry and they're still damp a day later. 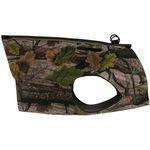 Also the fabric attracts any amount of prickly seeds, grass etc - no need for camo! 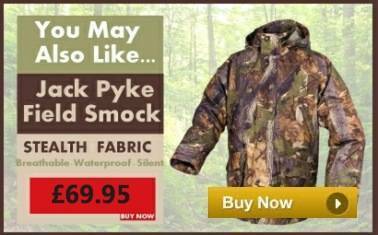 Amazing item, i also own the jacket (soft shell) and they keep me dry as a bone. i couldnt believe how dry i was after staying out side for 5 hours in the pouring rain and i wasnt a little bit wet. i said it before and i will keep saying it AMAZING STUFF!!!. 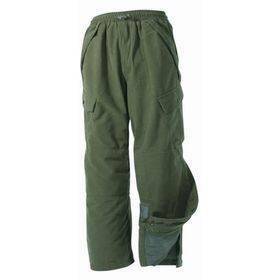 I know own soft shell jacket, trousers and tundra boots water proof is not the word. LOVE IT!!! thanks Jack Pyke and keep it up.